Music, conserts, performances and cinemas for everyone to enjoy, free of admission. Sommarscen Malmö is an outdoor festival for two months every summer. 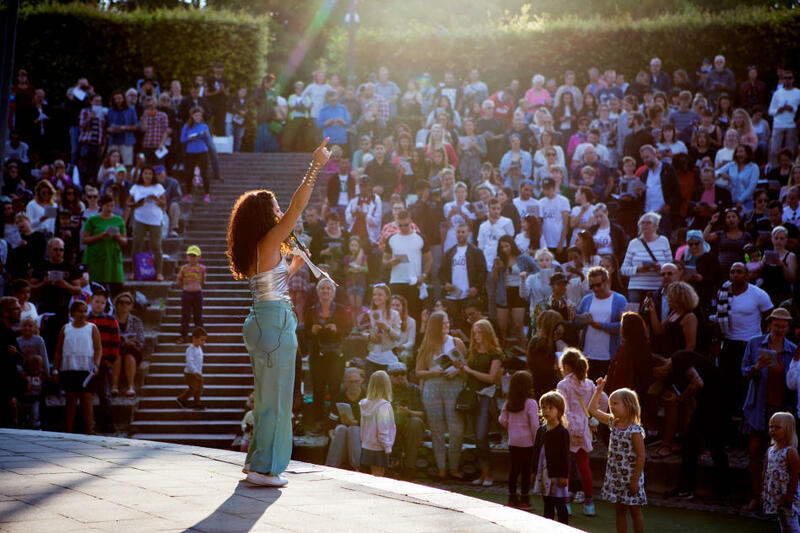 It is presented in over 44 different sites and venues in the open air all over Malmö with 143 performances for children, youngsters and adults to take part of. Sommarscen Malmö is organized by the City of Malmö and its programme aims to include the unique and unexpected with the broad and familiar. An exiting mix of different genres and expressions to create new experiences and meetings. Sommarscen offers touring performances for children, contemporary dance and circus, literature biking tours, pop concerts, dance battles, world music, sing along events and everything in between! Local, regional and international - Sommarscen Malmö works in close partnership with a variety of cultural organizations, institutions and producers. Bringing high quality culture to people in the streets, parks, blocks, on the roof toops, beach and other unexpected places. We believe in the power of culture and using it to create a social sustainable city! To read the programme in English, Arabic, Persian, Polish, Spanish, Finnish or German, please choose your choice of language for translation in the top right side of this web page.